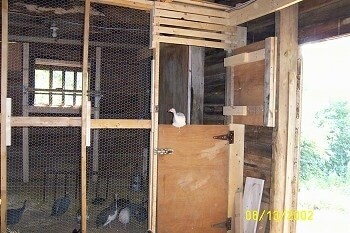 8 Weeks - Time to Free Range! 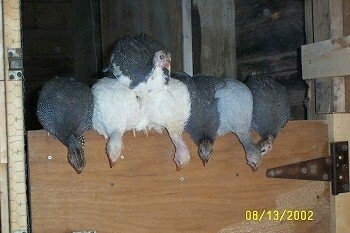 After being in the coop for 6 weeks to instill in the birds where their home base is, it is time to let the guineas free range. 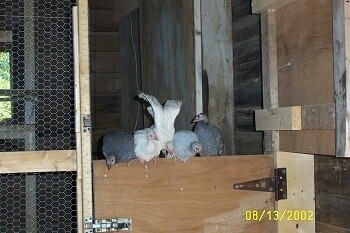 It is not recommended to take the guineas out of the coop, but to let them come out on their own. 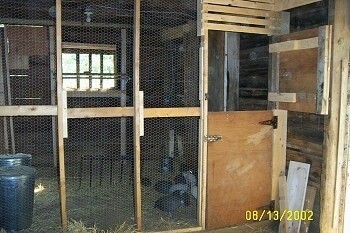 The top coop door is open and waiting for a brave guinea to check out the outside world. 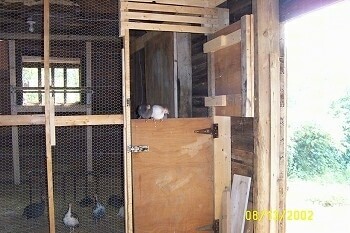 One brave guinea perches on the door. 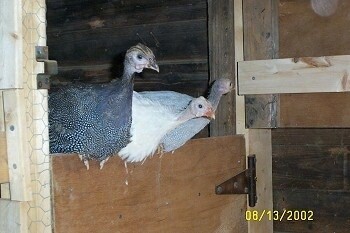 Two brave guineas perch on the door. 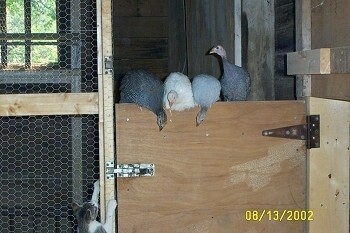 Three brave guineas perch on the door. 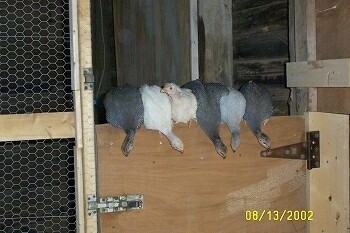 And a fifth joins the group! 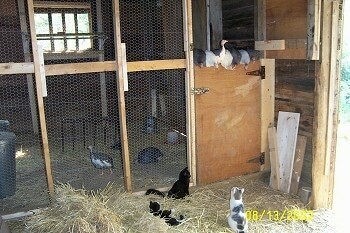 The cats and the guineas check each other out.